Home › Life in Christ › Praying the Psalms: Tue, 11 Dec – Psalm 141 ~ O Lord, I am calling to you. Please hurry! Praying the Psalms: Tue, 11 Dec – Psalm 141 ~ O Lord, I am calling to you. Please hurry! Morning Reading: Psalm 141 (NLT) – A psalm of David. O Lord, I am calling to you. Please hurry! Listen when I cry to you for help! Accept my prayer as incense offered to you, and my upraised hands as an evening offering. Take control of what I say, O Lord, and guard my lips. Don’t let me drift toward evil or take part in acts of wickedness. Don’t let me share in the delicacies of those who do wrong. Let the godly strike me! It will be a kindness! If they correct me, it is soothing medicine. Don’t let me refuse it. But I pray constantly against the wicked and their deeds. When their leaders are thrown down from a cliff, the wicked will listen to my words and find them true. Like rocks brought up by a plow, the bones of the wicked will lie scattered without burial. 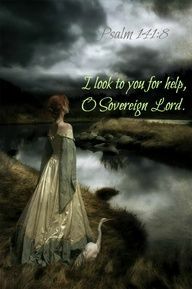 I look to you for help, O Sovereign Lord. You are my refuge; don’t let them kill me. Keep me from the traps they have set for me, from the snares of those who do wrong. Let the wicked fall into their own nets, but let me escape. O Lord our God: Come quickly, and help us, we ask in the name of Jesus Christ our coming King who lives and reigns with you and the Holy Spirit, one God, the same yesterday, today, and forever. Amen. ‹ Praying the Psalms: Mon, 10 Dec – Psalm 140 ~ Listen, O Lord, to our cries for mercy!